These days it seems like everyone is talking about blockchain technology. Supporters say it will revolutionize our lives. Others disagree, citing the failure of Bitcoin to gain acceptance as a safe and easy-to-use system of payment, as well as the fact that few blockchain projects have had any noticeable success. So, who is right? To answer this, let us look at the impact of another tech phenomenon — the world wide web. And yet… when the first web page appeared on the internet in August 1991, who would have thought that within 20 years the web would turn most of us into online shoppers? Or that smartphones would use it to exert such control over our daily habits? Who could have foreseen that an obscure search engine known as ‘Google’, launched in 1998, would within 20 years be handling over 2.4 million search queries per minute? Who could have predicted the rise and fall of famous web entities such as Alta Vista, AOL, MySpace, Netscape, Napster, and Yahoo? The truth is, no one could have predicted exactly how the web would develop, or which companies would succeed or fail. And the same holds true today, for blockchain. All we know is that, like the web, it will be transformative, especially since there is a growing cluster of interlinked technologies — such as Artificial Intelligence, Big Data, Internet of Things, Biotechnology, Quantum computing — that feed off each other, creating exponential advances. In fact, things are happening so fast that keeping abreast of current developments is already difficult enough, without trying to predict the future. The most exciting application being developed for use on blockchain 2.0 is the smart contract. Smart contracts are ordinary contracts, except they are written in computer code, in the If-This-Then-That type of format. A simple example might be: if X delivers 100 tons of bananas to Y, transfer $10,000 from Y to X. By adding more parties and more conditions to the smart contract, a highly complex agreement can be created — one that is executed automatically (in whole or in part), as soon as certain pre-defined conditions are met. For example, a smart tracking device in the cargo of bananas tells the contract when the fruit arrives at the delivery address. The contract then automatically pays X. But in order to guarantee a standard of quality, smart sensors inside the cargo container monitor temperature and humidity. And if the cargo climate exceeds certain parameters defined in the contract, X’s fee is reduced. At the same time, the tracking device and sensors might be included within the contract, via clauses governing their rental from Z. Thus, delivery of the fruit might trigger rental payments from X to Z. Other related items might also be incorporated within the smart contract, including arrangements with insurers, shipping staff, dockyard authorities, transport companies, and so on. In theory, there is almost no limit to the number of conditions and parameters that can be pre-defined and then executed once these multiple pre-conditions are met, without any human intervention. Furthermore, several other technologies can be harnessed to increase the efficiency of smart contracts. They include Artificial Intelligence (AI) which creates the complex web of events, conditions and parameters that need to be contracted for; Big Data, which provides the raw data to power the calculations and optimize settings; and the Internet of Things (IoT) which supplies the smart equipment that monitors events. And with sufficient data, contracts will automatically get smarter, because AI can be used to monitor contract performance in order to suggest improvements for future implementation. Although still in their infancy, smart contracts have already proved capable of eliminating many of the human roles upon which traditional contracts are based, including those in the legal, business and service industries. In a nutshell, the combination of blockchain and smart contract creates an entirely new environment for which professionals and corporate boards must be prepared, if they wish to keep ahead of the game. The likely benefits are too compelling to ignore. Smart contacts will (1) reduce the need for expensive intermediaries; (2) reduce human error; (3) increase security by encrypting and registering all details on the blockchain, and (4) automate tasks thereby saving hours of paperwork and other tasks needed to manually process documents. And they can be used in many different areas of activity, including (but not limited to): financial services, money transfers, movement of goods, acquisition of documents, registration of property law, credit enforcement, healthcare, corporate management systems, overtime and payroll systems, online voting systems, online shopping, vehicle insurance and claims, home security, and so on. Smart contracts will undoubtedly revolutionize our lives. And frankly, if your company is engaged in any of the above activities, you need to keep a close eye on developments or risk being left behind. That said, a great deal of work remains to be done to make these contracts fit for purpose. The biggest issue is security. For a start — given that, on average, there’s a security loophole in roughly every 1200 lines of open-source code — a high standard of codework needs to be established, to eliminate bugs. Because once a contract has been uploaded to the blockchain, it’s very difficult to change. Secondly, a standard of live verification, using a virtual machine emulator, needs to be adopted, to check for accurate execution. Thirdly, should errors or other ‘incidents’ occur — including unpredicted real-world events — a failsafe system of adjudication and compensation needs to be implemented. Another major issue is ease of use. For example, who is going to create these smart contracts? Most complex contracts are bespoke rather than off-the-shelf. Besides, real-world events are notoriously difficult to legislate for, which is why we need so many, expensive lawyers. Creating a cost-effective, computerized contract that regulates complex interactions between parties located in different jurisdictions and speaking different languages, without recourse to traditional courts of law (like the International Court of Arbitration), or important treaties (like the UN Convention on Contracts for the International Sale of Goods), will be fiendishly difficult, and will need the input of several professionals including lawyers, programmers and probably numerous analysts. In fact, because the task is so daunting, don’t be surprised to see the emergence of a hybrid contract that is encrypted on the blockchain but adjudicated by humans. In a bid to overcome these challenges, the China Electronics Standardization Institute — part of the Ministry of Industry and Information Technology (MIIT) — recently announced its intention to publish recommended standards for smart contracts by the end of 2019. Li Ming, director of CESI’s research lab, suggested that the standards might serve as the basis for future national and global guidelines. Of course, China is not the only country concerned about blockchain: more than 50 other states are working on the development of blockchain standards. However, it is one of the most influential in the industry, not least because of its deep involvement in several critical technologies — like AI, IoT, big data, quantum computing and semiconductors — all of which have an impact on blockchain development. As a result, China has become a sort of high-tech incubator, with an entire digital ecosystem nurturing a large number of blockchain companies. One of the youngest and most innovative of these blockchain projects is NULS, a $50 million enterprise headquartered in the city of Chongqing (pop: 30 million). Launched in September 2017, NULS came to prominence three months later when it won the Outstanding Project Award from China’s High-Tech Industrialization Association. More recently, NULS received government approval when it was added to China’s prestigious Global Public Blockchain Technology Assessment Index (GPBTAI). The GPBTAI — published by MIIT’s Center for Information and Industry Development — evaluates public blockchain projects according to their underlying technology, creativity, and quality of applications. Despite being handicapped by its youth and the fact that many of its programs are still under development, NULS was ranked at No. 21 overall. But, in the category of innovation, it was ranked No. 8. Not bad for a one-year old project, especially when you consider that some of its rivals have a market capitalization more than one hundred times greater. With a core team of 25 programmers, led by angel investor and core developer Yang Lin and founder Jason Zhang, NULS is an open-source, community-driven public blockchain platform. It features innovative modular-style architecture consisting of separate modules dealing with smart contracts, the multichain system, cross-chain consensus, as well as a variety of other functions. 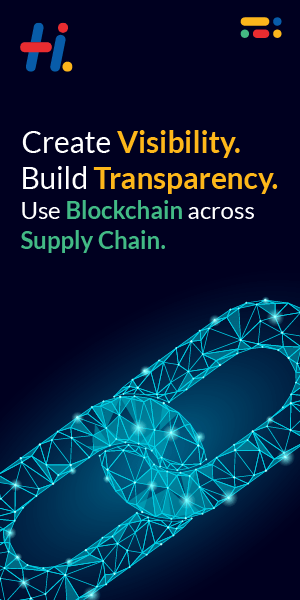 This allows companies to develop their own side-chains, each with its own set of rules, using NULS’ library of customizable modules, without the need to hire specialist blockchain developers. Comparable in concept with WordPress — with its provision of click-and-go tools for web developers — the unique NULS modular system, known as Chain Factory, is due for completion shortly. An important element of NULS’s Chain Factory is the smart contract module. This allows developers to create a wide range of Decentralized applications (DApps) on the NULS blockchain platform. NULS smart contracts are Turing-complete and fully compatible with UTXO. They are implemented using JVM (Java Virtual Machine), and have integrated NULS Virtual Machine (NVM) modules. In addition, in the foreseeable future, an interpreter in the network will allow developers to customize smart contracts using their preferred coding languages. When an enterprise considers a platform on which to build their blockchain, a key consideration is transaction speed, namely TPS (transactions per second). NULS have achieved a highly competitive rate of 800 TPS, and speed is further enhanced by their choice of consensus mechanism (POC over mining). NULS easy-to-use smart contract module opens the door to a new range of possibilities for the company’s ecology. Furthermore, the modular, open-source nature of the NULS design, along with its focus on community involvement, will help to ensure that the architecture remains fully up to date. In addition to its innovative blockchain infrastructure, NULS has developed a string of strategic partnerships in China, Singapore, Korea and Thailand, leaving it well-placed to strengthen its global reach. One final thing that augurs well for the company is its high reputation inside China, which can only help to open doors as it expands into Asia and beyond. As we know, the Chinese government is fully committed to blockchain — in May 2018, President Xi Jinping called upon his country to take the lead in its development — which bodes well for any well-placed Chinese blockchain enterprise. Furthermore, senior officials like Yu Jianing, director of the Institute of Industrial Economics at MIIT, have forecast that blockchain software will be introduced into a variety of sectors across China, such as cross-border payments, electronic deposit services, precision marketing, IoT, product traceability, supply chain management, food safety, energy and healthcare and copyright protection, to name but a few. By the way, anyone who doubts China’s ability to make things happen in high-tech areas need look no further than mobile payments, a field in which it has come from nowhere to lead the world. Coincidentally, mobile payments is also an area that NULS itself is involved in, through its partnership with MC Payment, Singapore’s award-winning payment provider. With many of its ideas still being tested, NULS has yet to realize a fraction of its potential. A successful launch of Chain Factory should change all that, and give a significant boost to the project’s price into the bargain.